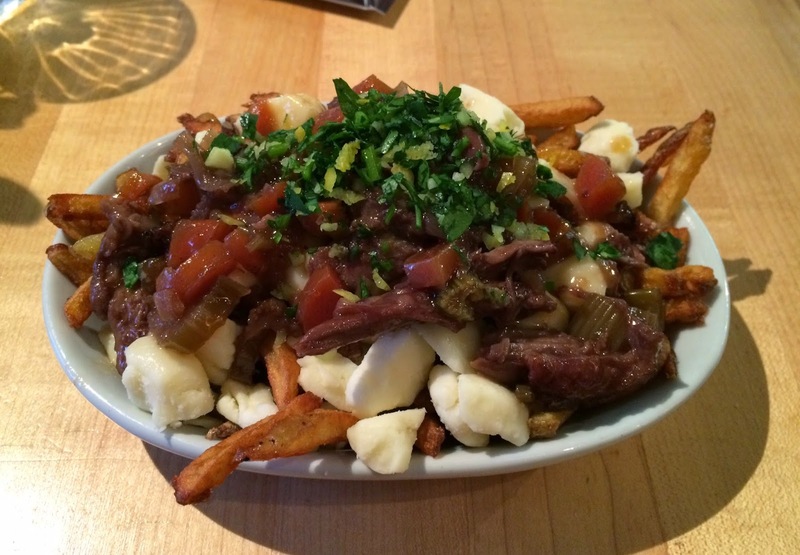 My last poutine from this trip for Poutine Week 2015 in Montreal was from Burger Royal. I've seen this place a couple of times but it's my first time to actually go in. 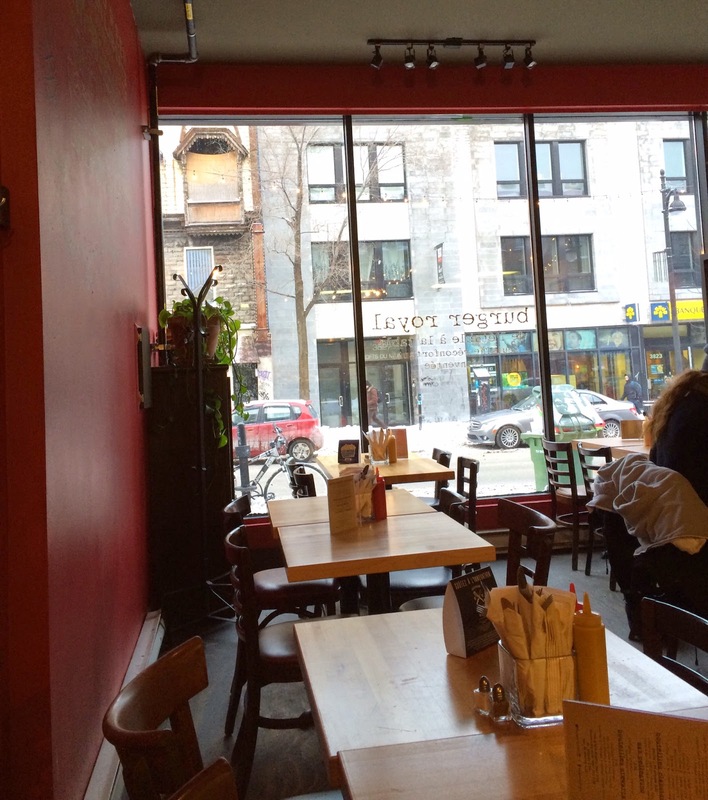 There're tables by the window. 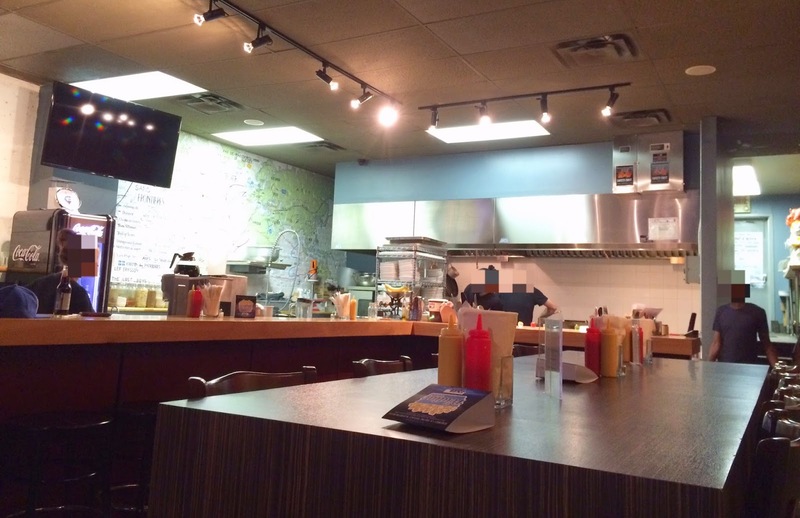 And tall counter tables near the kitchen. 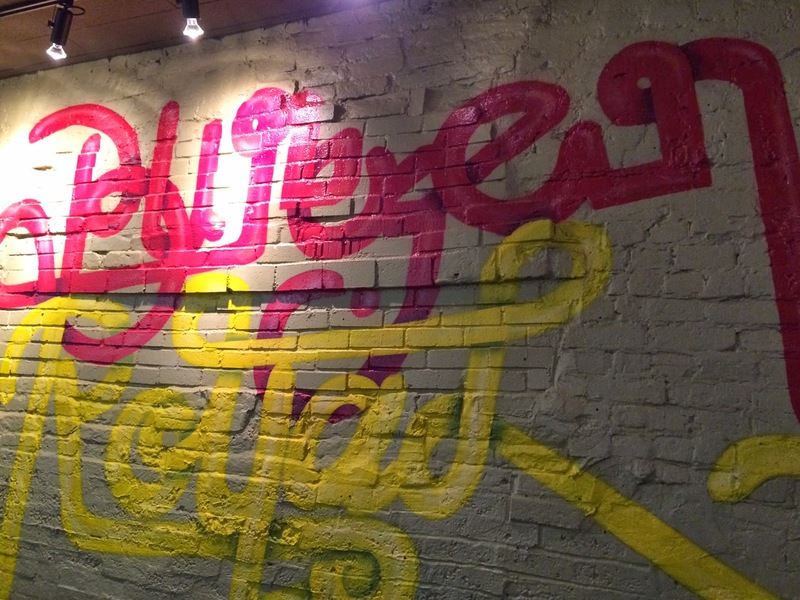 On one of the walls, Burger Royal was written with ketchup and mustard color. 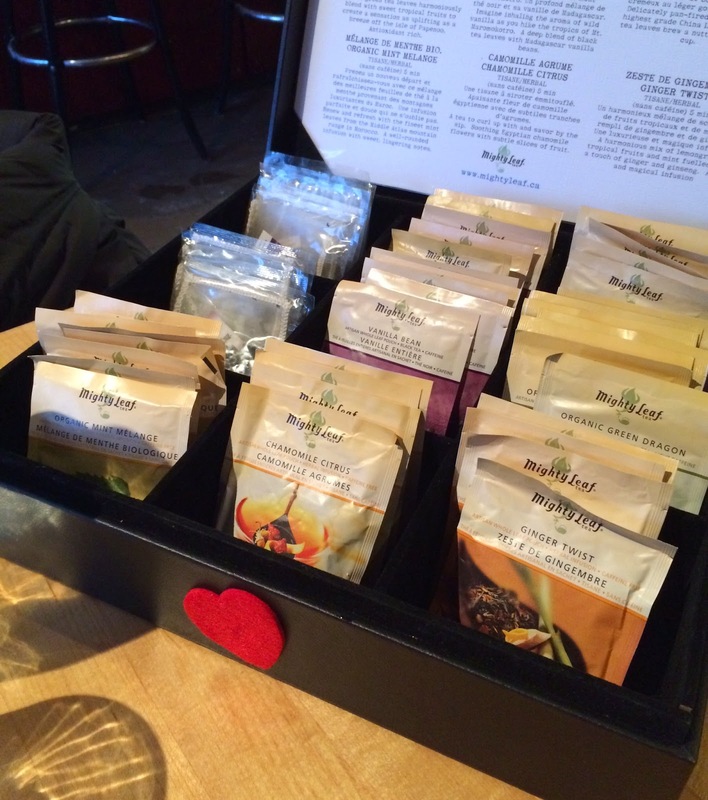 When I ordered a "Burger Royal Poutine," I asked if they have any hot teas, and an waitress brought me a box of tea bags. 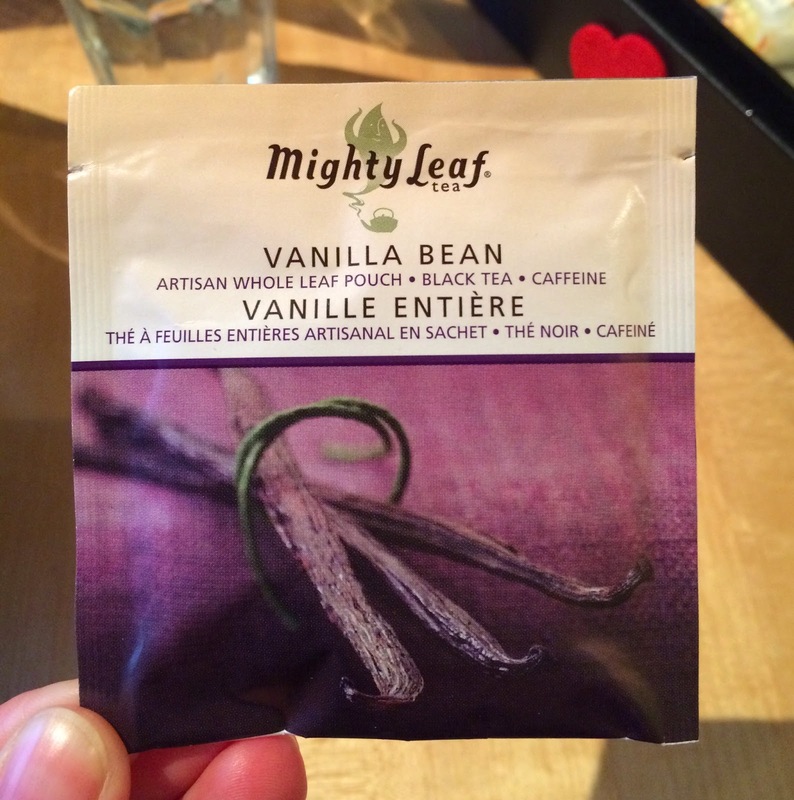 I got a sachet of "Vanilla Bean." Though I usually choose green tea base, this flavor sounded very interesting. 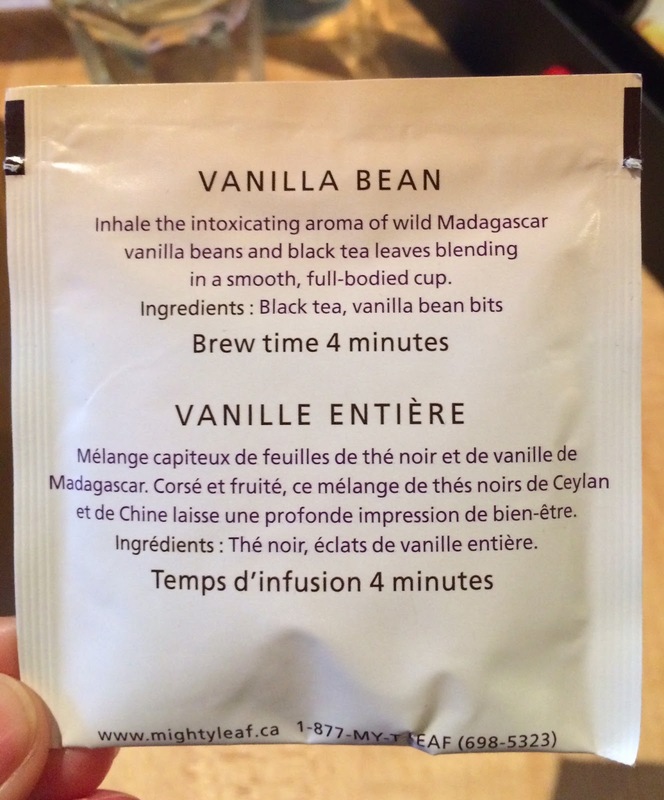 On the back, there's a description about the flavor; inhale the intoxicating aroma of wild Madagascar vanilla beans and black tea leaves blending in a smooth, full-bodied cup. The color of the tea was quite dark as it's said black tea, but it had sweet vanilla scent. 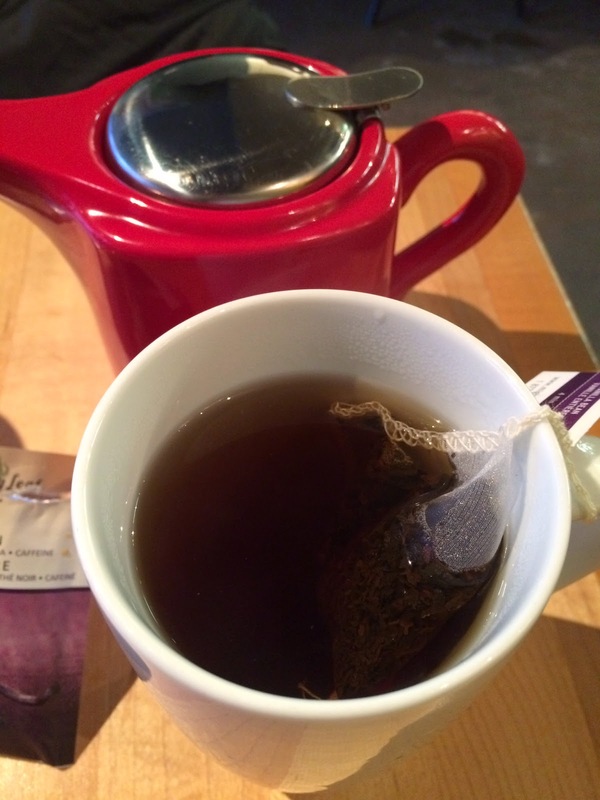 I don't add sugar or milk to tea and I drank as it was, and it had a nice tea flavor with light sweet vanilla scent. 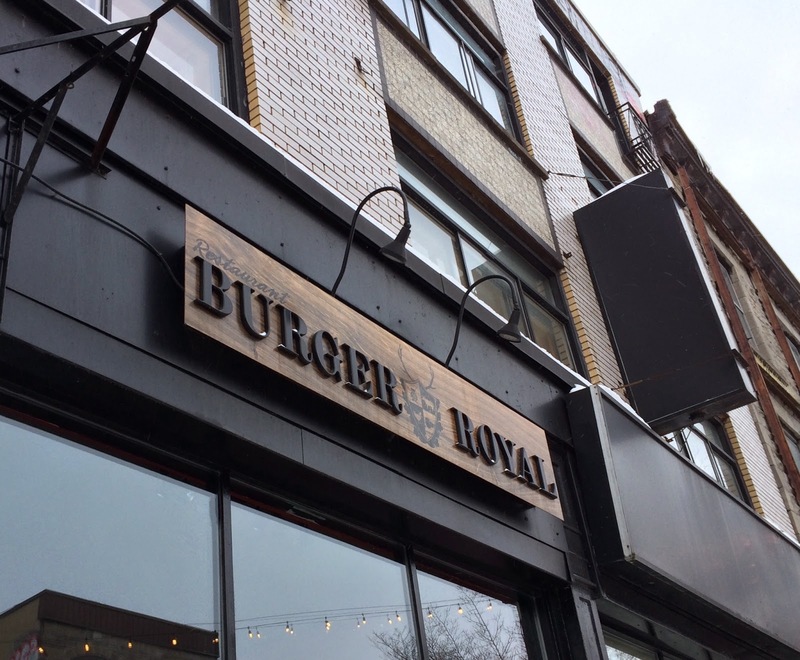 In about 10 minutes, Burger Royal Poutine was served. I thought it's really small for 10 CND dollars, but I guess oxtail isn't reasonable. 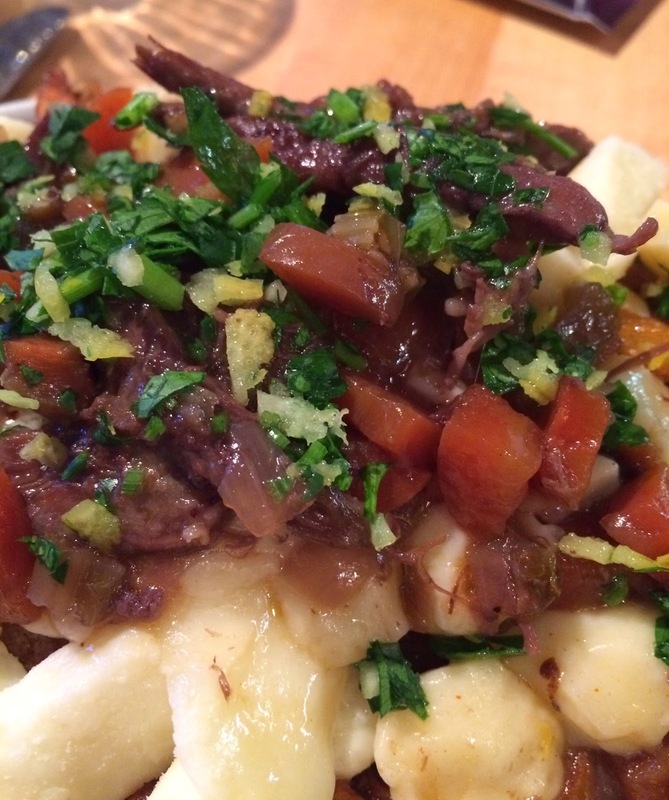 It's introduced as braised natural oxtail with homemade gremolata. Gremolata is a herb condiments made with parsley, lemon zest, garlic, but this seasoning also contained sea salt. It had very refreshing lemon flavor when it's served, and I'm sure it's noticeable even though you didn't study the ingredients beforehand. 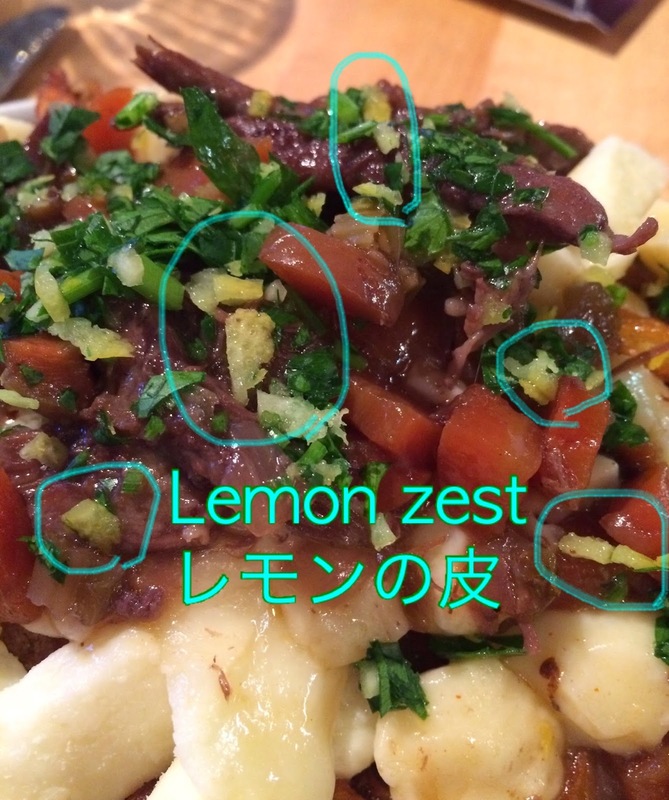 I could see lemon zest in the bright green parsley and over shiny brown oxtail. 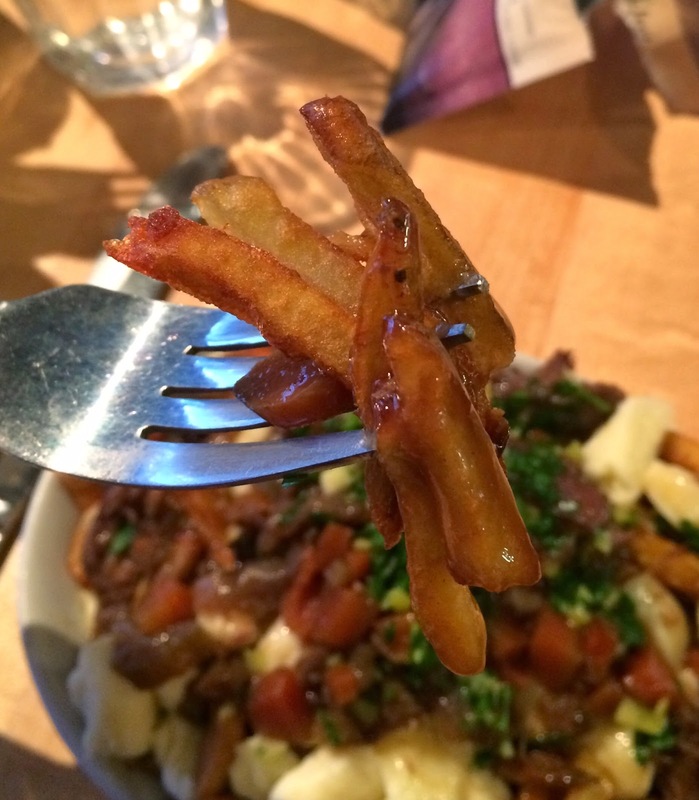 The fries were the skinniest among the poutines I've had, and they're similar to shoe string fries but thicker than them. As they're thin, they're mainly crunchy and didn't have much smooth or moist texture inside. There're medium sized carrots and celery cubes in the oxtail, and both absorbed the soup and were soft. Carrots were sweet and celery didn't have the bitter and green flavor when I ate it with other ingredients. 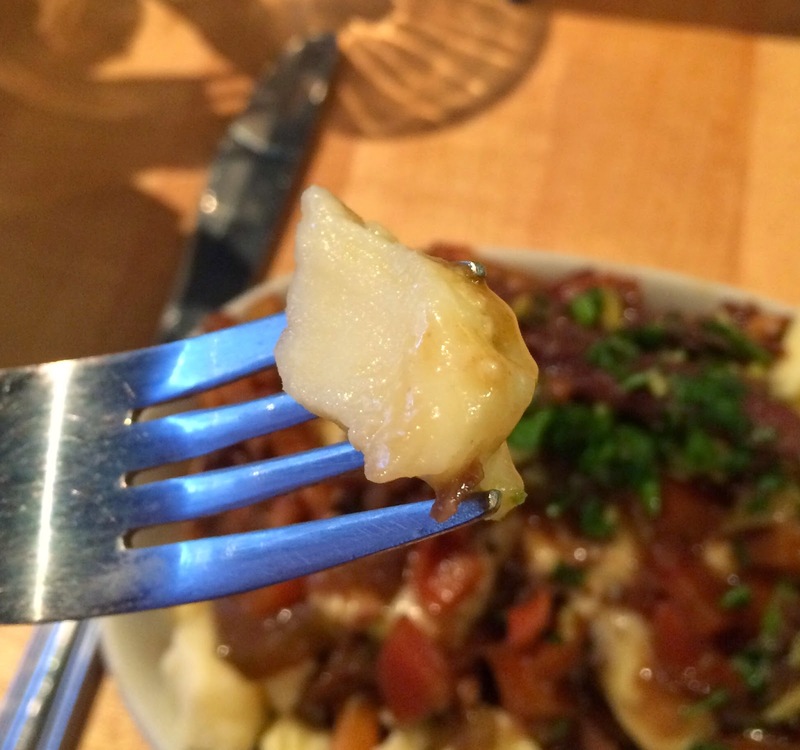 Cheese curds were also medium size and had a nice chewiness. 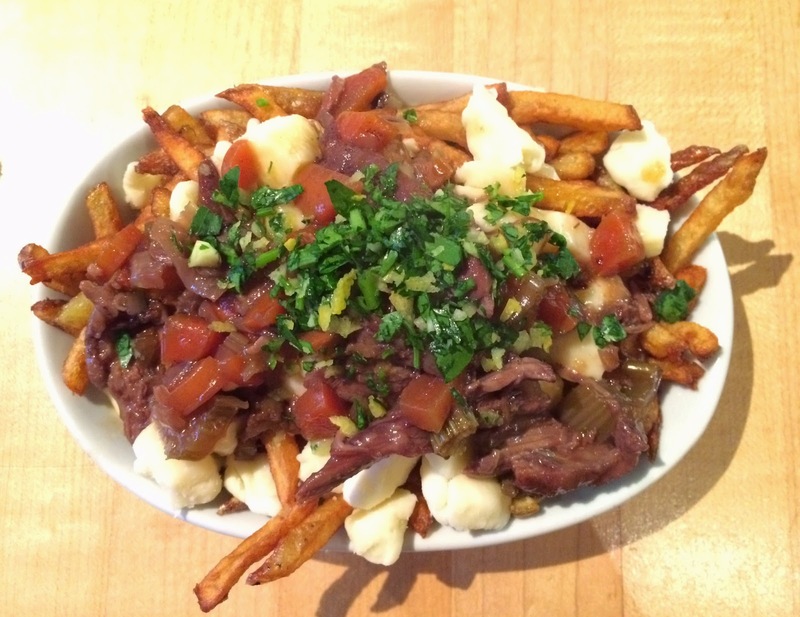 The skinny fries became soggy after being soaked in the juice of gremolata and oxtail, and they ended up becoming quite salty. At first, I could enjoy oxtails thanks to fresh lemon zest and bitter parsley, but gradually, I got tired of the fatty and gelatinous texture, and a strong garlic aftertaste didn't really help.